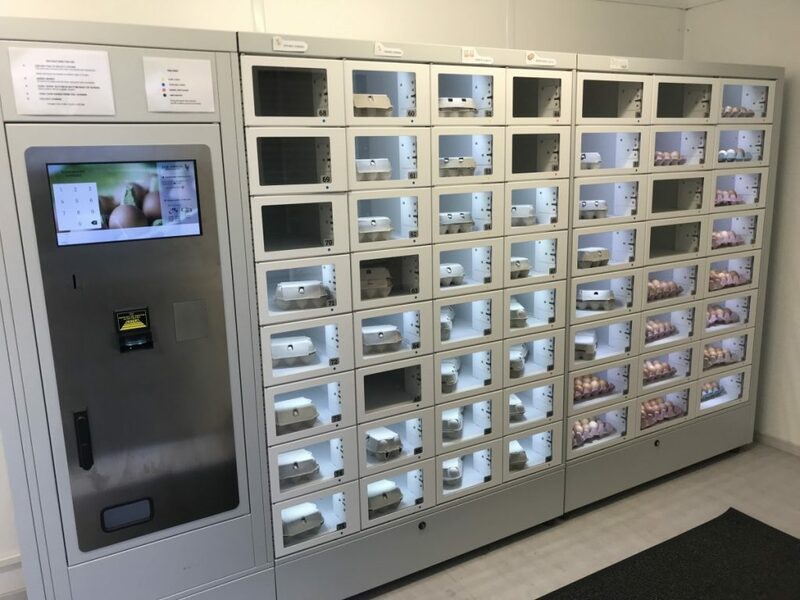 Vending by JSR have installed one of the new Lock Blox machines at their Organic Free Range Egg Farm outside Dundee. This was the site that had the UK’s first ever locker style vending machine so it was only fitting that the new machine started off here aswell. The last machine was a 28 locker machine and was having to be filled two or three times a day so this machine has been built with double the amount of lockers. Customers should now be able to get whatever size or amount of eggs they wish 24hrs a day. If you would like to visit the machine you can find it at Cransley Farm, Fowlis, DD2 5PL and if you would like a full demonstration and to know more about the back up website to the machines please contact Stuart on 07917730452.